Vegan Asian Lettuce Wraps with Sweet Sriracha Sauce are healthy, delicious and made with an incredible unique filling!! 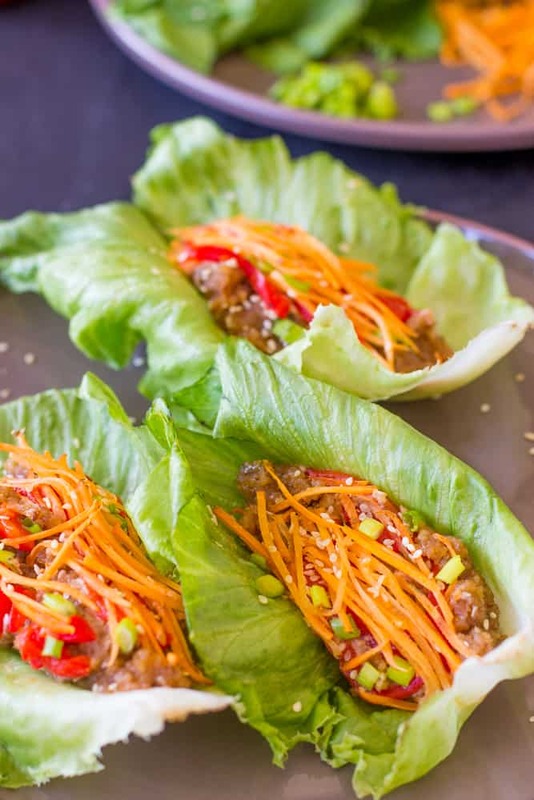 I’m very excited to share this recipe with you today, mainly because my mind was blown when I took a bite and I immediately fell in love with these lettuce wraps. You might be thinking, is that meat? No, and it’s not tofu either. Want to take a wild guess? I generously shared one of my lettuce wraps with him. I know, how kind. Now, on to the lettuce wraps overall. Sriracha is one of my favourite ingredients, and I “blame” Mr. Bakes for his insane spicy tooth because ever since we’ve been together I’ve been having way more pepper. Not that it’s ever a bad thing, but I make sure to tone down every recipe I post here because of it! All the asian flavours worked perfectly in these wraps, and the topping of the red peppers (I roasted them, they work just as fine with regular ones), carrots, sesame seeds and scallions complemented the walnut meat so well! 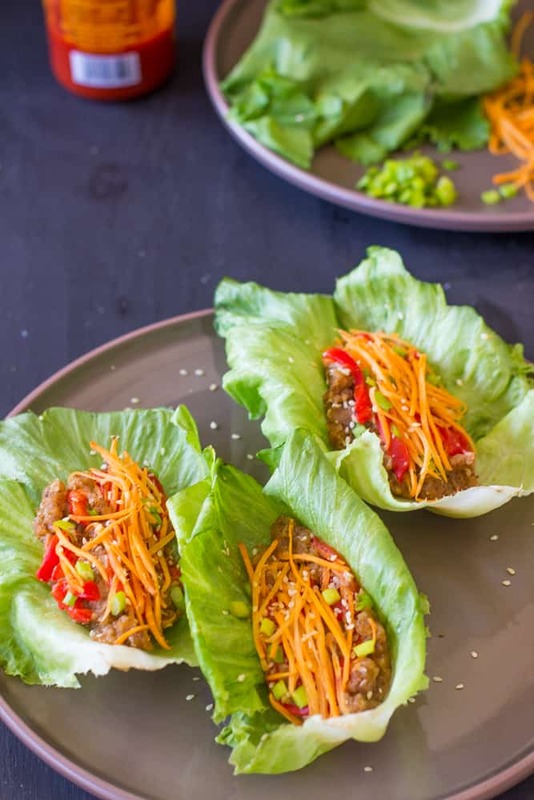 I wasn’t a big fan of lettuce wraps prior to making these, and now they are definitely going on my weekly rotation. Right alongside my daily oatmeal, hummus and impatience for the new season of Orange is the New Black. Can I make a super important point here? You don’t have to cook anything. Like, no heat except the water for the walnuts, which if you want it to be 100% raw you could just soak them for 4-6 hours before using. This is especially important since 90 degrees Fahrenheit is now the new normal here, with many days clocking in at 100, which yes, is as scary as it sounds. I am very much over using the oven right now, so meals like this that come together in 20 minutes with no heat and pretty much perfect! Soak the walnuts in hot water for about 10 minutes, then drain. 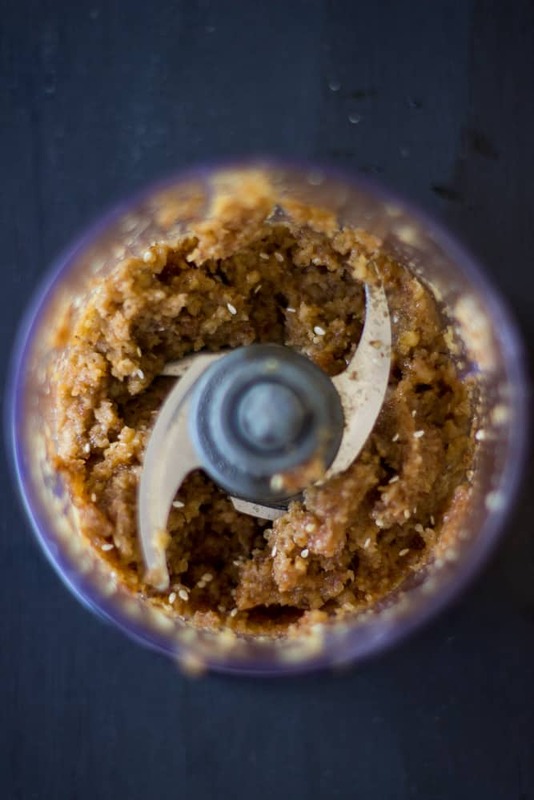 In a food processor, I use my u][Ninja Blender (Express Chop) [/u], add the walnuts and all the other ingredients. Pulse about 3-6 on 1 second pulses until the walnuts resemble a mince, but not all the way until its mushy. Use a spatula to scrap down to ensure everything is incorporated. Add in the Sriracha Sauce ingredients and pulse for 3 more times to incorporate, using the spatula to help you (you want to ensure everything is just incorporated). In a lettuce leaf, add some of the walnut meat mixture and spread. Top with your serving of shredded carrots, bell pepper slices, sesame seeds and scallions. This recipe can be easily doubled or tripled! Jessica, I would gobble these up in a second! I love your photography and these cute plates! love these asian lettuce wraps!! the “walnut meat” is genius! Wow, I love lettuce wraps and can honestly tell you I have never thought of adding walnut meat or any other nut meat. Genius. Thank you. Stunning pics by the way. Thanks so much Michelle!! I’m so interested to try other nut meats. The walnut meat sounds awesome! What a great idea. 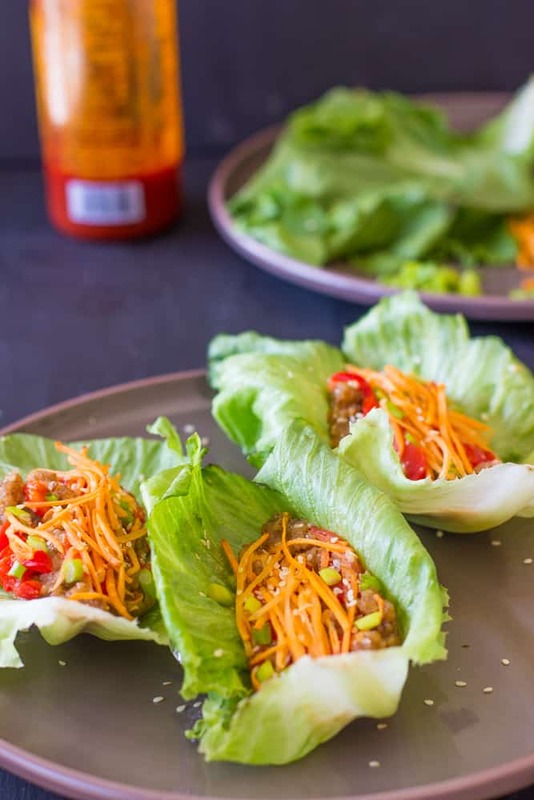 I love Asian lettuce cups, but I am going to have to try them this way too. Thanks Dannii! It was REALLY good!! Thanks Arpita! They were really good! These look so fresh and tasty! I’ve never tried using walnuts as a base but it’s such a great idea! I have heard SO MUCH about walnut “meat” lately! It’s really about time I tried it, don’t you think? 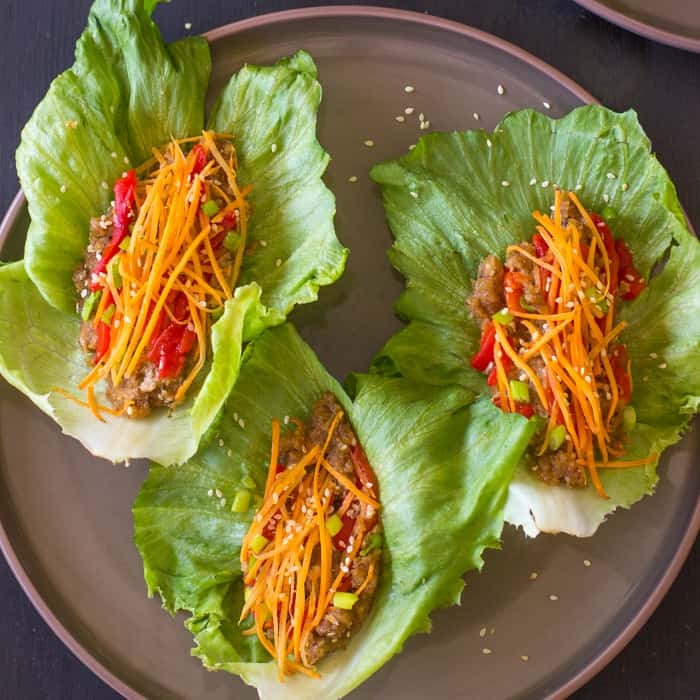 Looks great in these lettuce wraps! You’ve GOT to try it! Promise it tastes great. Thanks Joanne! So where has walnut meat been all my life? LOVE these! Thanks Erin! They are a new staple over here! Thanks Jess! They were really good! Girl you seriously make me want to go vegan!!!! Jessica, I’ve never heard of walnut meat, but I love the idea! I guess you could even make bolognese type dishes with it, too. You’re a genius! Thanks Helen! I should try that! The filling is definitely unique, never thought if it! But it totally sounds delish! I spy Sriracha!!! And amazing looking lettuce wraps. Wow Jessica, I think you have outdone yourself. Girl , I have never heard of walnut meat before. I would have sworn there is no such thing. Now I just have to try it. Great pics!!! My mind is blow too! I’ve never heard of using walnut meat as taco meat, what an awesome idea!! I eat so many tacos and feel like I’ve been missing out all this time! I eat walnuts all the time and love them so much, I will have to try this walnut taco meat! Jessica, thank you so much for this site, and these scrumptious recipes! Making this one tonight! You’re welcome Millie and thank you for your kind words! Made it without the sriracha- it was really good! Thank you so much for this recipe! So glad you enjoyed it Orke! You’re so welcome and thanks for the feedback! Do you have a blender? That would work. You really need something that can crush it! Had these for dinner today and they were EXCELLENT!!! But TWO carrots was WAY TOO much! One small carrot would have been enough. Hi! This looks delicious! I don’t use oil, is there anything I can sub for the 1 tbsp. olive oil? Thanks!! Thanks! I think you could use avocado since it’s still a fat and natural, but you could just use water. I can’t guarantee it will come out the exact same way since the oil does help with flavour and creaminess. Hope that helps! I got excited about this before I even had the ingredients and I just made them … OMG! you have created a monster! 😉 Jessica – they are probably the best thing I’ve tasted in a long, long time – FABULOUS! thank you so much! I’m SO glad you enjoyed these!!! You’re so welcome and thanks for the feedback! These are the best lettuce wraps I have ever had!! This is a meal to convince meat eaters that being Vegan is delicious and healthy! Thanks for the recipe! A definite keeper and one to use in our monthly meal plan! Yay! I’m so glad you enjoyed them!! You’re so welcome and thanks for the feedback!! HOLY MOTHER THESE ARE FANTASTIC. Thank you. Yay! You’re so welcome Heather! This comment made my day! 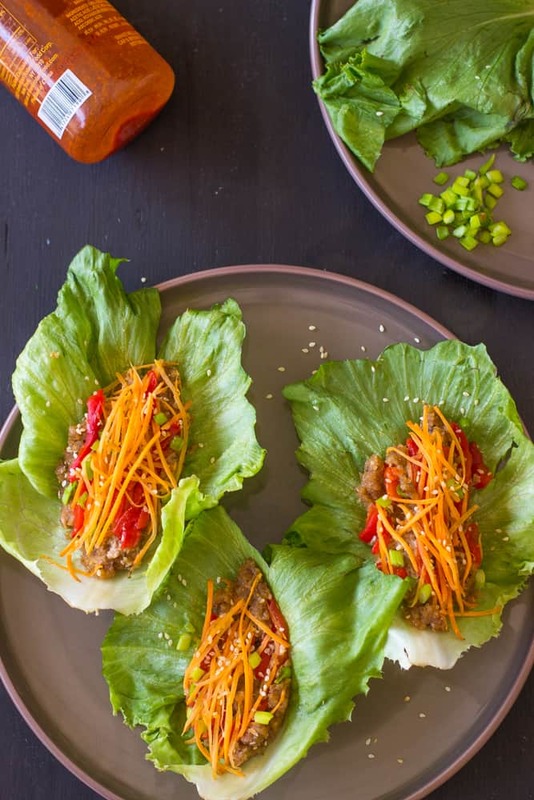 Vegan Asian Lettuce Wraps with Sweet Sriracha Sauce are healthy and i pick it! Definitely i will recommend this recipe for my friends-crossfitters and vegetarians! I found your post from Pinterest! 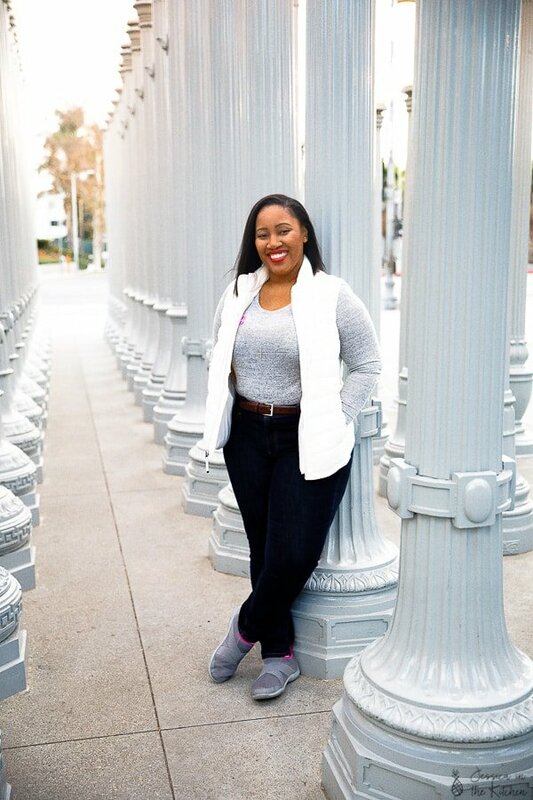 Thanks for sharing, Jessica! My husband calls this “high class vegan”. It is outstanding. Thank you! Aww yay haha! I’m so happy to hear that Sharon!! You’re so welcome! I made these yesterday and a total THUMBS UP!! thank you Jessica!!! I’m so happy to hear Anita!!! You’re so welcome and thanks so much for letting me know! Just made these and oh my – these! are! so! good! 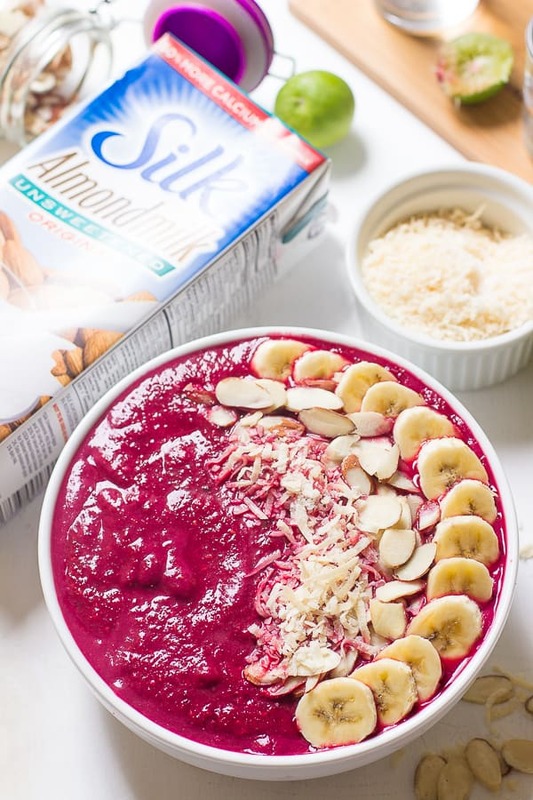 So easy, so fast, so healthy, and so delicious! Thank you for sharing this perfect, no cook summer recipe!! I’m sooo happy to hear that!! You’re so welcome and thanks for your feedback! That vegan asian lettuce wraps look absolutely fantastic. Beautiful photos, too. I look forward to trying this.